One of the biggest names in sophisticated smoking, Davidoff offers an extensive assortment of luxury handmade cigars to suit all manner of serious connoisseurs, plus an impressive array of scores from popular cigar magazines. The Davidoff selection offers a refined range in strength profiles from medium- to full-bodied, and each and every handcrafted cigar ensures an elegant experience. Buy Davidoff Nicaragua Box Pressed Cigars online at JR Cigars.com for the lowest prices and widest selection. Davidoff Nicaragua Box Pressed are handmade Nicaraguan puros that uses a premium blend of top-quality, aged tobaccos. 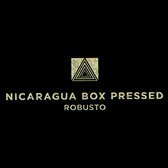 Shop for Davidoff Nicaragua Box Pressed Cigars at JR Cigars for the best deals! Buy Davidoff The Chef's Edition Cigars online at JR Cigars.com for the best deals and widest selection. Davidoff The Chef's Edition are handmade with a premium blend of top-quality, aged Dominican tobaccos for a medium body. 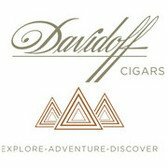 Shop for Davidoff The Chef's Edition Cigars at JR Cigars for the lowest prices! Buy Davidoff Year of the Pig Cigars online at JR Cigars.com for the best selection and lowest prices. Year of The Pig is Gran Toro sized cigar that is handmade with premium aged, top-quality tobaccos for a medium body. Shop for Davidoff Year of The Pig at JR Cigars and find the best deal now! Buy Davidoff Millennium Blend Series Cigars online at JR Cigars.com for the widest selection and lowest prices. Davidoff Millennium Blend Series uses aged, top-quality Dominican tobaccos for a medium body. Shop for Davidoff Millennium Blend Series Cigars at JR Cigars and find the best deals! Buy Davidoff Nicaragua Series Cigars online at JR Cigars.com for the best deals and widest selection. The highly rated Davidoff Nicaragua Series are handmade with a premium blend of top-quality, aged Dominican tobaccos. Shop for Davidoff Nicaragua Series Cigars at JR Cigars for the lowest prices! Buy Davidoff Special Series Cigars online at JR Cigars.com for the best deals and widest selection. Davidoff Special Series are handmade with a premium blend of top-quality, aged Dominican tobaccos for a medium body. Shop for Davidoff Special Series Cigars at JR Cigars for the lowest prices! Buy Davidoff Cigarillos and Small Cigars online at JR Cigars.com for the best deals and lowest prices. Available in a variety blends, Davidoff Cigarillos and Small Cigars are handmade with premium, top-quality tobaccos. Shop for Davidoff Cigarillos and Small Cigars at JR Cigars and get the best selection! 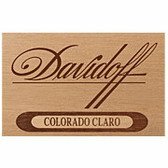 Buy Davidoff Colorado Claro Cigars online at JR Cigars.com for the lowest prices and widest selection. Davidoff Colorado Claro lineup of premium handmade cigars is crafted with perfectly aged, top-quality Dominican tobaccos. Shop Davidoff Colorado Claro Cigars at JR Cigars and get a deal now! Buy Davidoff Aniversario Series Cigars online at JR Cigars.com for the best deals and widest selection. The Davidoff Aniversario Series of premium cigars is crafted with a top-quality blend of Dominican tobaccos. 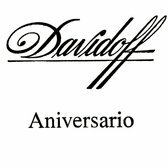 Shop for Davidoff Aniversario Series Cigars at JR Cigars and get the lowest prices! Buy Davidoff JR 45th Anniversary Cigars online at JR Cigars.com for the best daily deals and widest selection. The Davidoff JR 45th Anniversary Cigar features aged, top-quality Dominican tobaccos for a mellow bodied smoke. 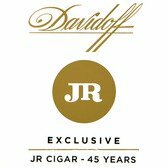 Shop for Davidoff JR 45th Anniversary Cigars at JR Cigars and find the lowest prices! Buy Davidoff 702 Series Cigars online at JR Cigars.com for the lowest prices and widest selection. Davidoff 702 Serious are handmade with a premium, top-quality blend of aged Dominican tobaccos for bold flavors. 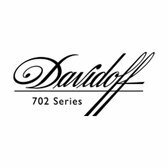 Shop for Davidoff 702 Series Cigars at JR Cigars and get the best deals! Buy Davidoff Cigar Assortment online at JR Cigars.com for the best deals and lowest prices. Available in a variety of sizes and blend, the highly rated Davidoff Cigar Assortment are handmade with premium, top-quality tobaccos. Shop for Davidoff Cigar Assortment at JR Cigars and get the widest selection! Buy Davidoff Grand Cru Series Cigars online at JR Cigars.com for the lowest prices and best selection. Davidoff Grand Cru Series lineup of premium handmade cigars is crafted with perfectly aged, top-quality Dominican tobaccos. Shop for Davidoff Grand Cru Series Cigars at JR Cigars and get the best deal! 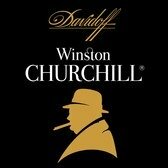 Buy Davidoff Winston Churchill The Late Hour Cigars online at JR Cigars.com for the best prices and selection. Davidoff Winston Churchill the Late Hour are handmade with a premium blend of top-quality, aged tobaccos. Shop for Davidoff Winston Churchill The Late Hour Cigars at JR Cigars for the best deals! Buy Davidoff Winston Churchill Cigars online at JR Cigars.com for the lowest prices and widest selection. Davidoff Winston Churchill cigars are handmade with a premium blend of top-quality, aged tobaccos for a mellow-medium body. Shop for Davidoff Winston Churchill Cigars at JR Cigars for the best deals! Buy Davidoff Master Selection Cigars online at JR Cigars.com for the best daily deals and lowest prices. The Davidoff Master Selection features aged, top-quality Nicaraguan tobaccos for a medium bodied, flavorful smoke. Shop for Davidoff Master Selection Cigars at JR Cigars and find the widest selection! Shop for Private Stock by Davidoff Cigars online at JR Cigars.com for awesome deals and selections. With two premium wrappers, Private Stock by Davidoff Cigars are handmade with 100% Dominican tobaccos. Don't forget to buy Private Stock by Davidoff Cigars boxes and singles at JR Cigars for the best prices. Buy Davidoff Maduro Series Cigars online at JR Cigars.com for the best daily deals and lowest prices. The Davidoff Maduro Series features aged, top-quality Dominican tobaccos for a medium bodied, flavorful smoke. Shop for Davidoff Maduro Series Cigars at JR Cigars and find the widest selection! 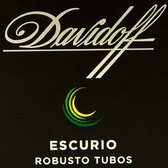 Buy Davidoff Escurio Cigars online at JR Cigars.com for the lowest prices and best deals. Davidoff Escurio lineup of premium handmade cigars is crafted with perfectly aged, top-quality Dominican and Brazilian tobaccos. Shop Davidoff Escurio Cigars at JR Cigars and find the widest selection! Buy Davidoff Yamasa Cigars online at JR Cigars.com for the lowest prices and best daily deals. Davidoff Yamasa Cigars are handmade with an ultra-premium blend of top-quality, aged tobaccos for a medium-full body. 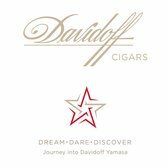 Shop for Davidoff Yamasa Cigars at JR Cigars and find the widest selection! Buy Davidoff Signature Series Cigars online at JR Cigars.com for the best deals and lowest prices. Davidoff Signature Series are handmade with a premium blend of top-quality, aged Dominican tobaccos for a mellow-medium body. Shop for Davidoff Signature Series Cigars at JR Cigars for the widest selection!